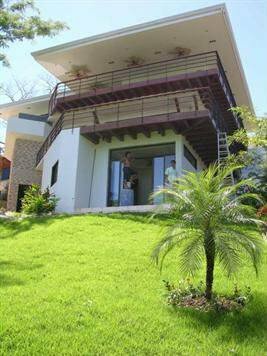 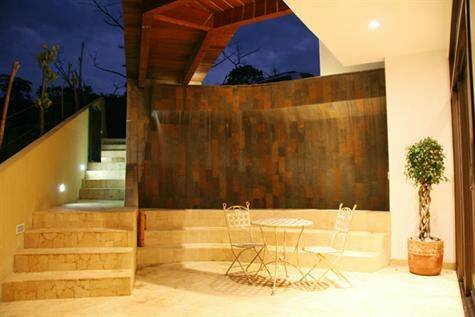 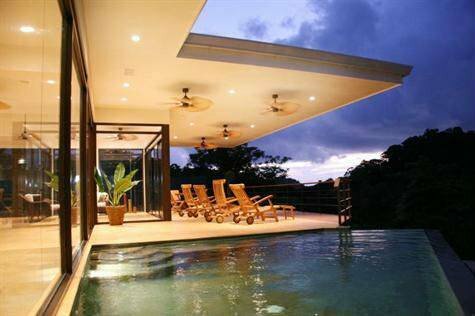 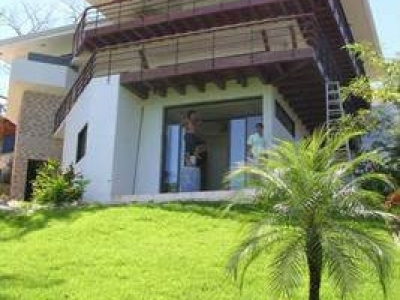 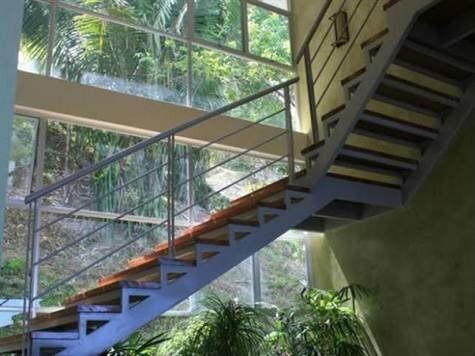 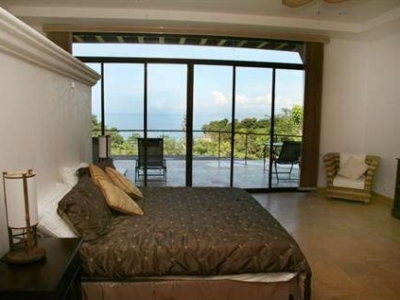 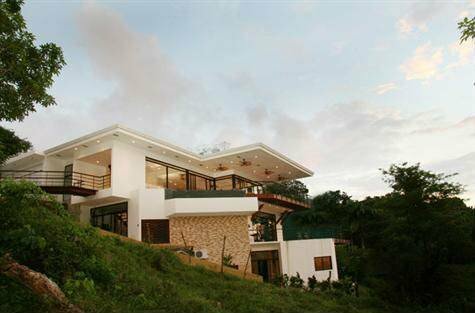 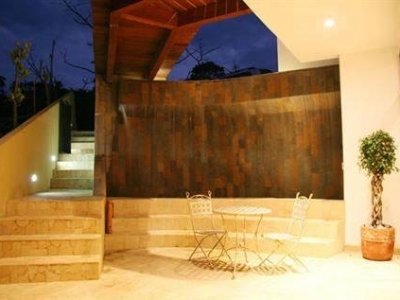 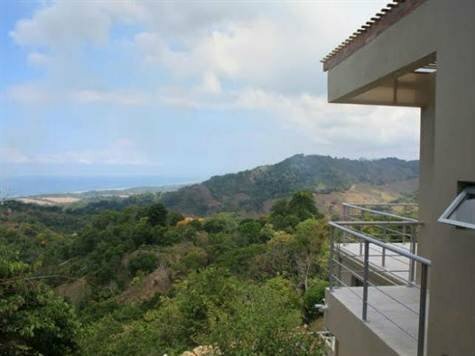 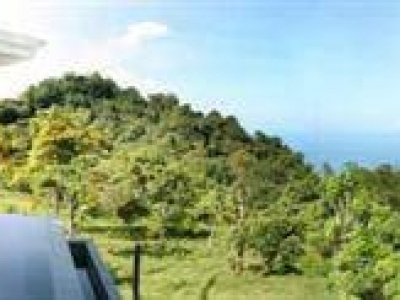 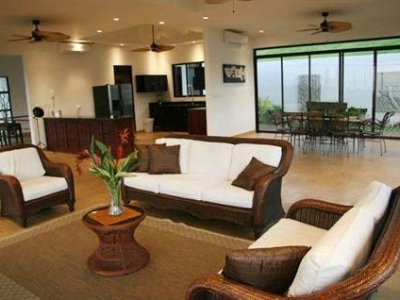 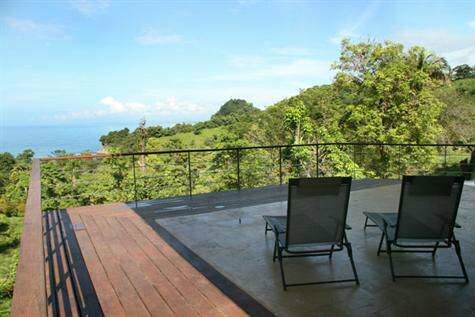 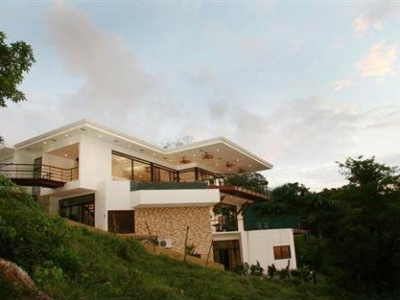 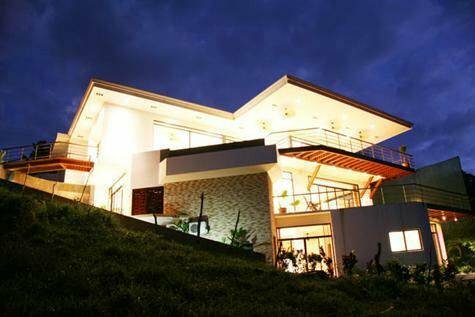 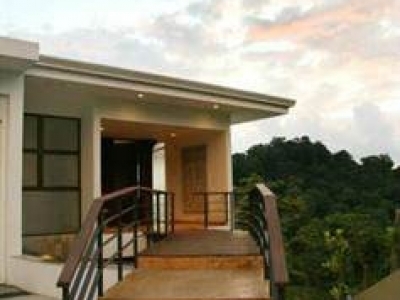 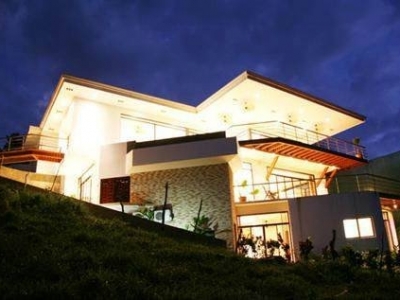 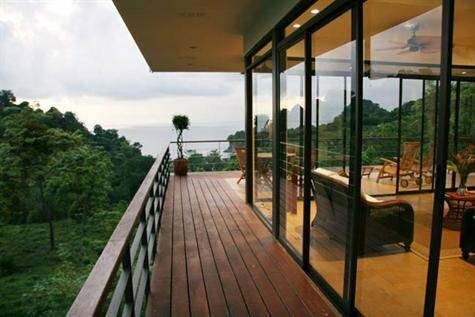 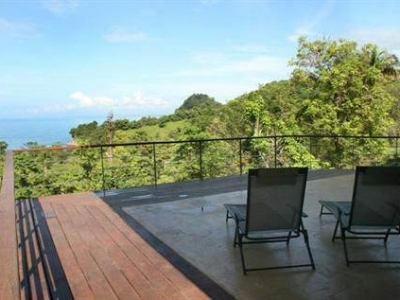 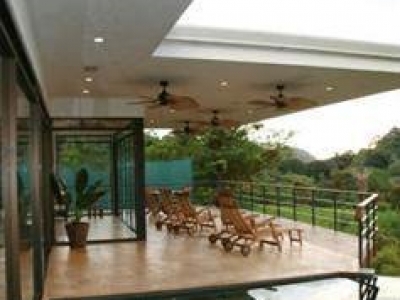 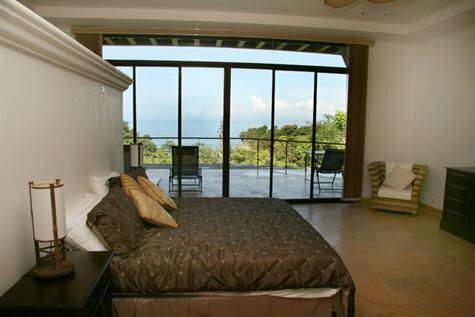 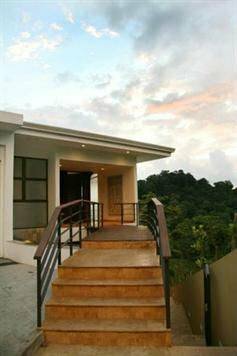 1/3 ACRE – 4 Bedroom Modern Home With Infinity Pool And Ocean View, Walking Distance To Beach!!! 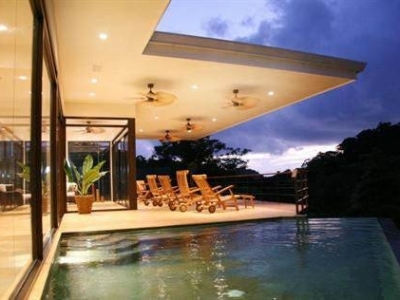 The home features a floating bridge entryway over an ‘ampitheatre’ style water element. 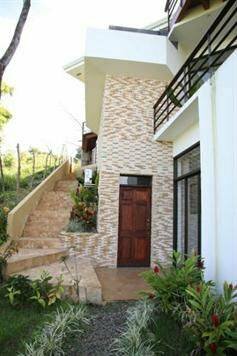 There are a master suite and two regular sized bedrooms all with terraces, a fully equiped media room and a separate caretaker’s apartment or maid’s quarters. 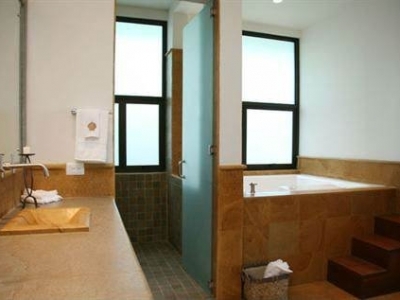 Each bedroom has a bath ensuite. 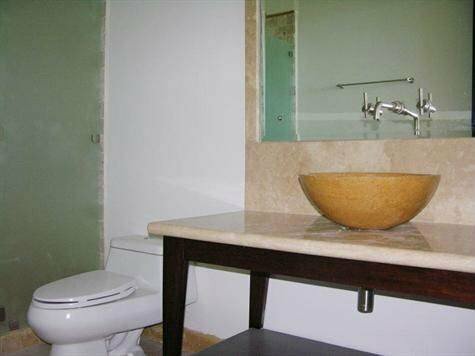 The master boasts large walk in closets, a second washer and drier in the bath room, fantastic tile work, a jacuzzi and complete mini bar. 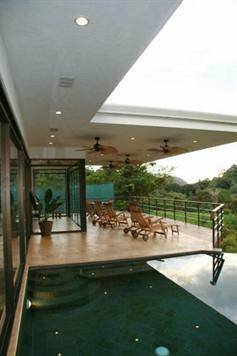 All ceilings are 10 feet, and the entire structure is open and airy. 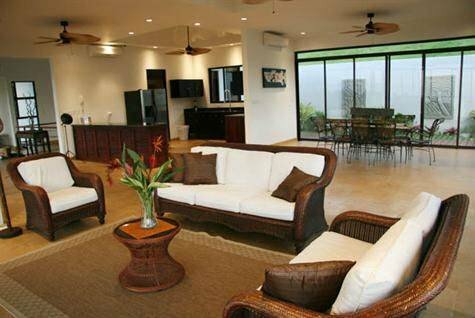 All finishes are luxurious, including a touch pad stereo control accessible from any room in the home. 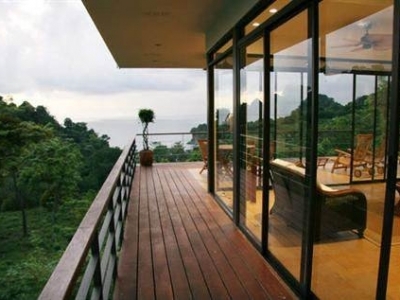 Most homes in this price range are older, located in high-density areas, and have no direct access to the beach. 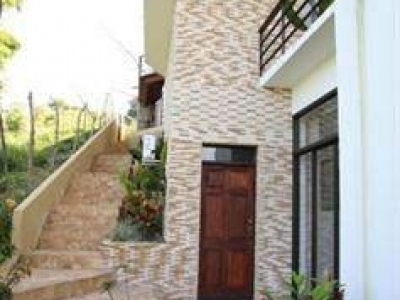 Included in the sale price is a second building site adjacent to the home!